As we age, most of us start to lose some hair. But losing a good deal of hair isn’t normal. The clinical term is alopecia, and while people often think it’s a male thing, hair loss can affect women and even children, as well. There are a variety of reasons you may be losing your hair. To fight back, at the Center for Dermatology & Laser Surgery we have a variety of treatments to help you keep your hair and start re-growing hair you’ve lost. There are a variety of causes of a person losing his or her hair. The American Hair Loss Association estimates that two-thirds of American men have some degree of hair loss by their 35th birthday. About 40 percent of women suffer hair loss, and even three percent of children. Genetics— Both male and female pattern baldness are genetically passed on. 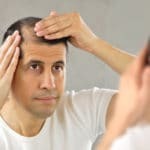 In men, balding can begin as early as the late teenage years. Balding usually happens in areas and often will result in excessive if not total hair loss in those areas. Female pattern baldness exhibits itself with thinning when a woman hits 50 or 60. Hormonal problems— Hormonal shifts can trigger temporary or permanent hair loss. Women often lose some hair after pregnancy and during menopause. Medications— Hair loss is a side effect of many drugs used in the treatment of cancer, arthritis, depression, and high blood pressure. 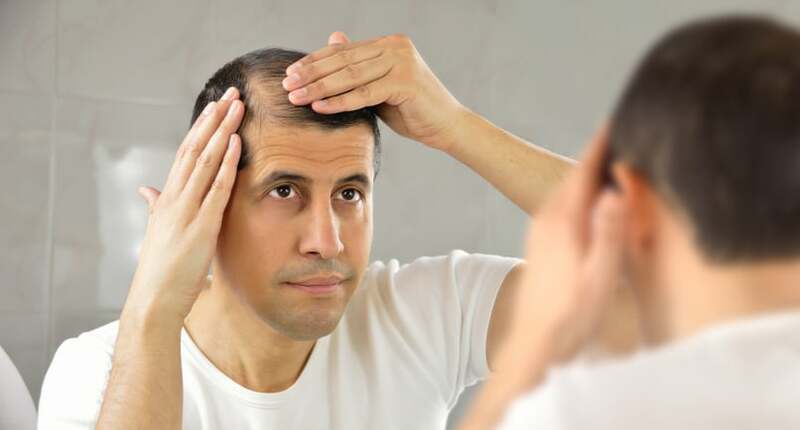 Underlying medical conditions— A variety of medical conditions can cause hair loss or thinning including thyroid problems, autoimmune disorders such as alopecia areata, scalp infections, and other skin disorders. Stress— When a person is in a period of intense stress, such as divorce proceedings, a death, serious illness, or other causes, hair loss is often a symptom. This is usually temporary. No one deserves the hit in self-confidence that comes with hair loss. At Center for Dermatology & Laser Surgery, we have a variety of treatments for hair loss therapy. Platelet-rich plasma (PRP)— The growth factors present in PRP can stimulate new hair growth. Laser hair phototherapy— Laser energy can trigger new hair growth in the hair follicles. Topical medication— Minoxidil is applied topically and works to stop the follicles from shrinking, stimulating new hair growth. Anthralin is applied topically to control inflammation at the base of the hair follicles. Corticosteroids may be applied as drops or injections into the scalp to stop alopecia areata. Oral medication— Finasteride (Propecia) is taken orally and works by blocking the formation of the male hormones in the skin that cause hair loss. Spironolactone also blocks these hormones. Are you suffering from hair loss? Call the team at the Center for Dermatology & Laser Surgery, (503) 297-3440 to schedule a consultation.